Active Directory is the central repository in which all objects in an enterprise and their respective attributes are stored. It is a hierarchical, multi-master enabled database, capable of storing millions of objects. Those objects areorganized as a treeand stored into sections, called naming contexts or directory partition. Each directory partition contains a hierarchy (subtree) of directory objects. 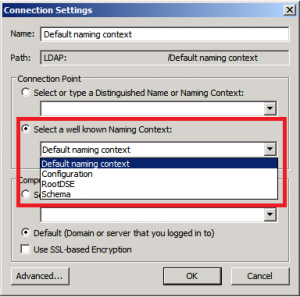 At minimum, each domain controller stores three NCs in its local copy of the Active Directory database. 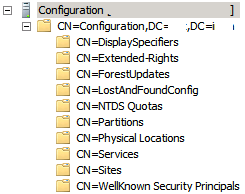 Configuration NC contains objects about sites, services, and directory partitions. Every domain controller in the forest has a replica of the same configuration partition. How to export AD user attributes to a CSV file with powershell Get-ADUser? 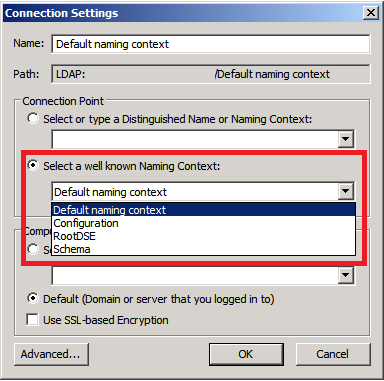 Using DsGetSiteName in C# sample: how to get the name of the site where a computer resides?